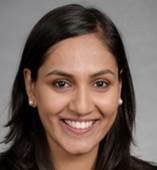 Aakanksha Veenapani was a Global Innovation Fellow partnering with the START Center (2015-16) while completing her MBA at the University of Washington Foster School of Business. After graduating with a B.A. in Economics and English from Whitman College, Aakanksha began her career as a consultant to Microsoft. She, then, moved to India to work on a political campaign as a data analyst. Post-campaign victory, she began work in the social impact sector in India. Her past experience involves working with philanthropic foundations to distribute education dollars as well as working with local education non-profits to improve funding and marketing strategies. As a START RA, she worked with the family planning team, the integrated delivery team, and the pandemic team on various projects. After graduation, Aakanksha began a career in consulting with Deloitte. START was, unequivocally, the best part about my MBA experience. And that is not only because I got to work on some of the most complicated, pressing problems of our times but also because I got to work with some of the brightest minds who have become my closest friends, engage with experts in the public health domain, and walk away feeling like I actually contributed to work that will have lasting impact and a meaningful outcome.